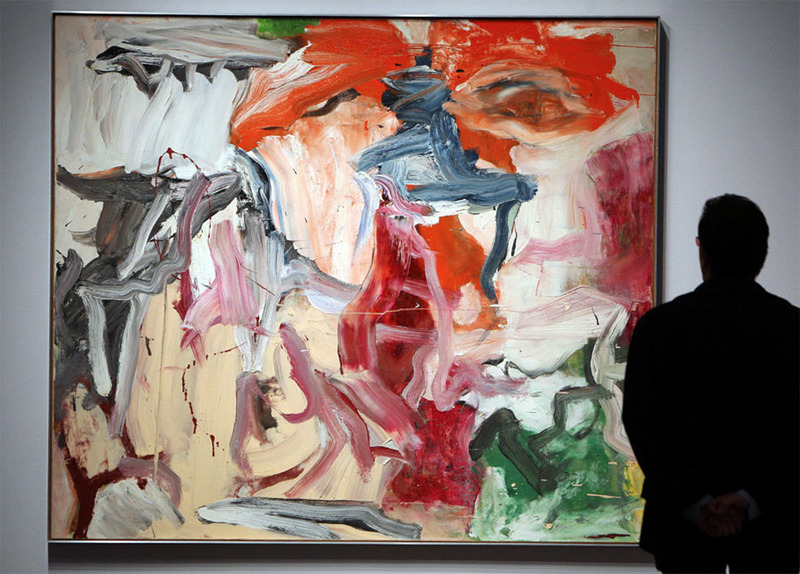 Art Dealer says he found 6 de Kooning paintings in a New Jersey storage unit. Gallery owner’s $15K gamble on storage locker pays off big time. The secrets hidden on the backs of famous artworks. New York’s Miles McEnery Gallery to open second space in Chelsea. Jeffrey Deitch will launch his Los Angeles gallery with an ambitious Ai Weiwei exhibition. Amid MoMA’s $450 million expansion, employee tensions are running high. Art gets damaged all the time. Here’s how it gets back to the market. Charles Saumarez Smith to leave Royal Academy of Arts to become senior director of Blain Southern. 8 English art terms you should know. 6 artist-approved platforms for building your website. 5 reasons why you should try painting with acrylics instead of oils. The $835 million Rockefeller auctions fueled a record half year for Christie’s. Christie’s reports record half-year sales of £2.97 billion. Lawsuit alleges Robert Indiana was swindled by his associates. Publishing company American Image Art strikes back in Robert Indiana case. Painter Mary Corse is having a late-career market moment. Hauser & Wirth teams up with MoMA PS1’s bookshop to celebrate the joys of art publishing. Students claim for-profit Art Institutes defrauded them with predatory lending practices. Iranian gallerists released on bail after two years in Tehran prison. She married into a European dynasty. Angela Gulbenkian now accused of art world fraud. The notorious Stefan Simchowitz on art dealing, social media, and faith in art. 8 Detroit galleries fueling the city’s creative community. Tuesday Smillie wins Rose Art Museum’s artist-in-residence award. Denver Art Museum to be lone US host for exhaustive Monet exhibit. Tate blockbuster to prove Pierre Bonnard was a great Modern painter. The new BBC television series and what we mean when we say “Civilization”. A chance to revisit Barbara Loden’s only feature film, considered a feminist masterpiece. Following $1.5 million, gift Cleveland Museum of Art to launch center for Chinese paintings conservation. Artist Lee Bul’s violent and beautiful reflections of South Korea. Yale photography MFAs smash the thin border between fiction and reality. The Queens Museum releases the list of artists that will appear in its upcoming biennial. Trump’s State Department has yet to pick a US representative for the Venice Biennale. After London Design Museum hosts Arms Industry Event, artists demand their work be removed. How the co-founder of FEMEN used art as a powerful feminist statement. Warhol Foundation calls on University of Kansas to reverse removal of Josephine Meckseper flag. Fondation Louis Vuitton will spotlight 120 Jean-Michel Basquiat works. Juergen Teller photoshoot of Rihanna accused of mimicking Mickalene Thomas. Preview Art21’s report on the Creative Growth Art Center in Oakland. What the U.S. & China trade war means for the art market. Jason Williams, aka REVOK to launch limited edition zine at Beyond The Streets LA. In new study, scientists explain clouds in Edvard Munch’s ‘Scream’ as unusual meteorological condition. KAWS creates massive light installation for Seoul’s LOTTE World Tower. 7 artists smashing our expectations of what marble can be. Inside his Taos studio, Larry Bell reflects on his lifelong dedication to the glass cube. The Tate is displaying rarely seen work by Jenny Holzer, and it’s free to the public. Masterful Xu Bing retrospective inaugurates UCCA’s newly expanded Great Hall. James Turrell’s iconic light installations featured in new book published by Hatje Cantz. The science and pleasures of how we see. An ever-shifting Austin art space makes its biggest move yet. Artist-duo CYRCLE transforms an underground parking garage into large-scale installation. Colorful installations of spray paint and mesh form connections between the analog and digital worlds. Artists stage a contemporary art “Black Market” in Tokyo. Artists are addressing the tide of gentrification in LA’s Little Tokyo. Republican candidate denounces $10 million public funding for Cheech Marin’s museum. Texas Museum deliberates how to display a mural about hate crimes against Latinos. Hans Ulrich Obrist to lead 5-hour-long ‘Interview Marathon’ in Chicago. Here’s the exhibitor list for the Outsider Art Fair’s 2018 Paris edition.